I’ve recently been looking at traditional video conferencing through a new lens, both literally and figuratively. One of our projects this summer was to update a mid-sized Conference Room in our office. 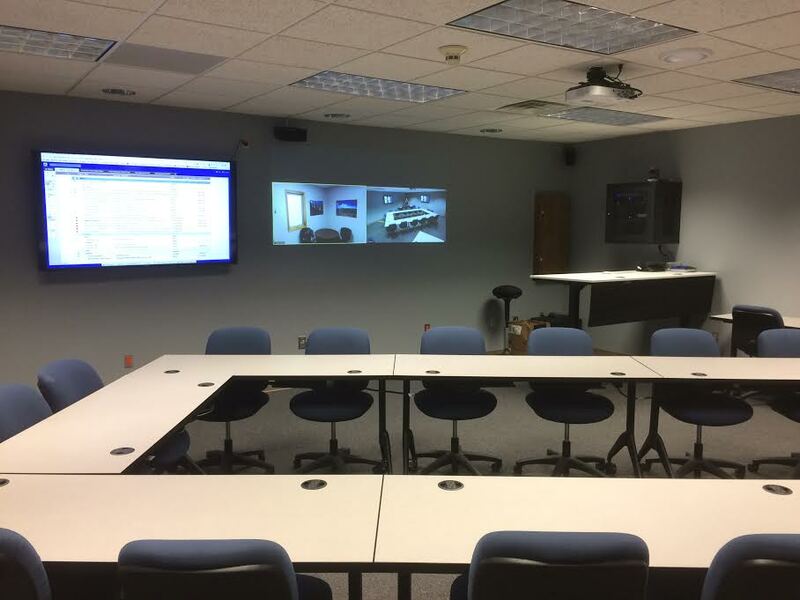 This room has been outfitted with a Polycom HDX-7000 and two 50″ LG plasma screens for a number of years. This Polycom unit was from a different era, and was difficult for most anyone other than IT staff to navigate the remote and settings. My plan for video conferencing in this room revolved around a few key components. To get started, I purchased a Logitech Group system with a high definition Carl Zeiss PTZ camera. 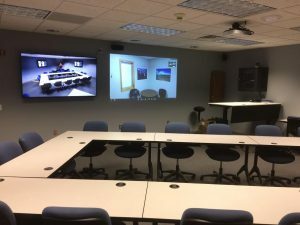 This is the Cadillac of USB connected video conference systems, and comes in right around the $1,000 price point. Having a high-quality audio and video session with PTZ presets was key in supplanting our H.323 system. The Logitech Group system delivers on all those points. This camera system is connected up to a modestly equipped Mac Mini (~$800) that is tucked away in an equipment cabinet. A bluetooth keyboard and mouse make it easy to interact when needed. The built-in HDMI output is connected to one display and the second Mini DisplayPort is connected to another HDMI display via a dongle. Being able to run true dual monitors to separate video and content is another longstanding H.323 feature that I could not live without. Lastly, enter Zoom. I cannot say enough good things about this product. It is simple, intuitive, and it just works. 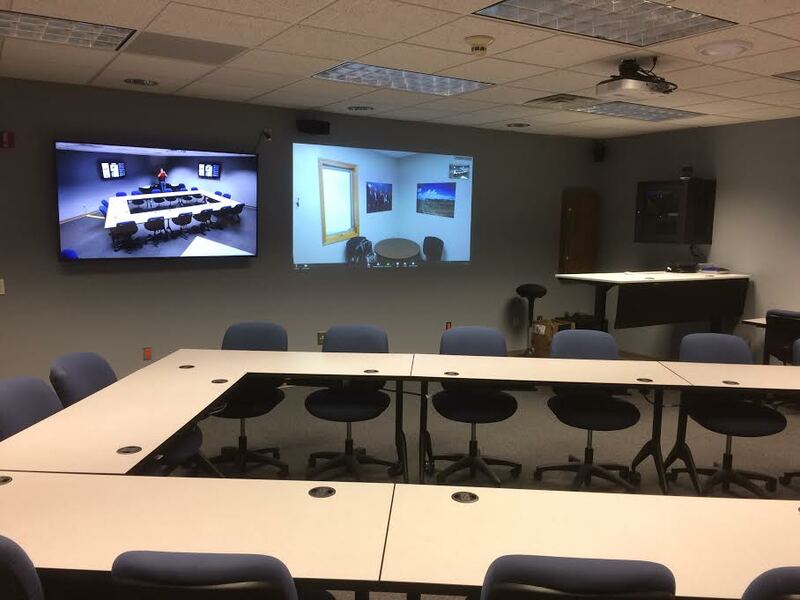 It has become the defacto standard for video conferencing in our area and across the state. I grappled with the idea of setting up a Zoom Room but ultimately decided to configure a generic Zoom Pro account for this setup. It does everything we need it to do and is a familiar interface to navigate. The Mac Mini is configured with automatic login, and the Zoom app automatically launches and signs in. Enabling dual monitors in the Zoom preferences is as simple as a checkbox, as is entering full screen automatically when starting or joining a meeting. Now when someone starts sharing their screen, one monitor will automatically go to full-screen content and you can still see video participants on the other monitor. You can also toggle between Gallery and Active Speaker as well, which is handy. All in all, this sub-$2,000 setup rivals many of the high-end and high-dollar video conferencing systems I’ve used over the years. I’m anxious to see how this works going forward, but early indicators point to a huge success! 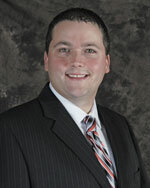 I'm the Media & Technology Coordinator for ESU 11 in Holdrege, NE. I have the privilege of working (playing) with several different technologies, so I hope to share some of my experiences here.